Whatever is in the Mueller report — and, given its total of more than 300 pages, it’s probably a lot — we know there are plenty of examples of shameless corruption across the Trump administration not even touched by the special counsel investigation. It is this endemic corruption, which seemingly infects every agency in the federal government, that American Oversight has been investigating for the past two years and that ultimately is far more reflective of the culture that President Trump has created. The special counsel investigation only looked at collusion with Russia and obstruction of justice. We know that the investigation led to indictments of key members of Trump’s inner circle, but we only have Attorney General William Barr’s four-page summary to look at for the question of obstruction, making the report’s full release essential. But what we do already know, from the past two years of investigation, is that the administration’s corrupt practices range from abuses of power and misuse of taxpayer money to questionable political appointments and blatant lies. Look no further than those appointed to steward our nation’s public lands and natural resources. Former Interior Secretary Ryan Zinke left office at the beginning of the year, weighed down by multiple ethics investigations into his leadership. 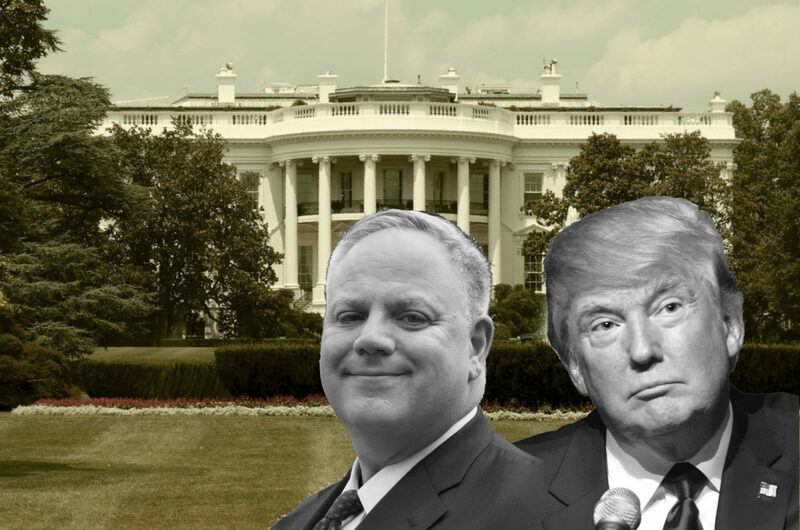 His replacement, Acting Interior Secretary David Bernhardt, had his Senate confirmation hearing on Thursday, facing a flood of questions about allegations of his ethical violations. The former oil lobbyist has more potential conflicts of interest than any other cabinet nominee, and has come under fire for a host of issues. It was reported last week that as deputy secretary, Bernhardt had blocked the release of a scientific report on the threat that pesticides present to endangered species. In February, the New York Times reported that he had personally intervened to weaken an endangered species protection, benefiting one of his former lobbying clients. On top of that, Bernhardt’s daily schedule has largely been a mystery. The Washington Post reported this week that Interior staffers, using a Google document they later overwrite, prepare a “daily card” with a detailed schedule, which they have withheld from the public. We sent a FOIA request this week for communications that schedulers have had with any external entities to try to learn more about how he spends his day. We also have ongoing litigation against the Department of the Interior seeking any calendars maintained by or for Bernhardt and other senior officials. Student Loans: In early 2017, the Consumer Financial Protection Bureau sued the nation’s largest student loan company, Navient, accusing it of failing consumers through deception, misinformation and malpractice. The Department of Education has been accused of obstructing the lawsuit in aid to Navient. American Oversight has sued the department on behalf of the National Student Legal Defense Network for related records, and this week filed new FOIA requests: We’re asking for communications that Education Secretary Betsy DeVos and other political appointees had with Navient, records of legal agreements between the department and Navient, and communications between Navient and the department’s inspector general office, which issued a report on student loan servicers earlier this year. North Korea Sanctions: Last week, Trump tweeted that additional sanctions on North Korea would be lifted — sanctions the Treasury Department had yet to announce, creating confusion and undermining national security planning processes. We filed FOIA requests with Treasury and the State Department for records of communications and meetings with the White House about sanctions, and for internal communications about Trump’s surprise tweet. Family Separation’s Harmful Effects: During her testimony before the House Homeland Security Committee this month, DHS Secretary Kirstjen Nielsen said she was not familiar with the term “toxic stress” as it relates to the effects of the administration’s family-separation policy, and said that there was a commission analyzing this issue. A career official at the Department of Health and Human Services has testified multiple times that he warned superiors about the potential harmful psychological effects of separating children from their parents. We filed FOIA requests for HHS and DHS records of those warnings as well as any analyses done by Homeland Security to learn about whether the administration had evaluated the harmful impacts of its policy. Saudi Nuclear Sales: On Thursday, Energy Secretary Rick Perry confirmed that he had approved six secret authorizations for companies to sell nuclear power technology to Saudi Arabia. Lawmakers have raised concerns about the administration having worked with a group called IP3 to push for the sale of nuclear technology — without consulting Congress and over the objections of top ethics officials and members of the National Security Council. Perry’s calendars from 2017, which we obtained, reveal a meeting involving the IP3 subsidiary Ironbridge. Also this week, the chair of the House Foreign Affairs Committee, Eliot Engel, demanded a briefing on Jared Kushner’s trip to Saudi Arabia. Medicaid Work Requirements: A federal judge blocked Medicaid work requirements in two states, in what the New York Times called “a blow to Republican efforts to profoundly reshape a program that has provided free health insurance to the poorest Americans for more than 50 years.” We’ve been investigating the administration’s support for Medicaid work requirements, and are asking HHS and the Centers for Medicare and Medicaid Services to provide analyses or communications about the effect that imposing such requirements would have. Wilbur Ross Avoids Congress: Giving no explanation, Commerce Secretary Wilbur Ross has declined to appear before the Senate Appropriations Committee, at a time when he is facing heightened scrutiny over his ethics requirements as well as his involvement in the decision to add a citizenship question to the 2020 census. In 2018, Ross had told the committee that the Justice Department had made the request for the question, but documents later revealed that Ross himself had pushed for it. American Oversight obtained Ross’ 2017 calendars, which show that he had numerous meetings related to the census, and in October we joined the NAACP Legal Defense Fund in filing a lawsuit to uncover records related to the Justice Department’s role in the decision. Lynne Patton’s TV Career: Following her controversial appearance at the House Oversight Committee hearing for former Trump attorney Michael Cohen, Patton — the senior official at the Department of Housing and Urban Development who worked for the Trump family as an event planner — is setting her sights on another form of reality television. The Washington Post recently reported that Patton had sought HUD ethics advice about taking part in a “docuseries” about black Republicans. We’ve requested records of those requests or determinations, as well as any communications about ethical issues regarding her potential participation. Closing Corruption-Breeding Loopholes: The Senate unveiled its companion bill to H.R. 1, the For the People Act, which, on top of provisions to expand voting rights and reform campaign-finance laws, addresses numerous shortcomings in ethics laws — shortcomings the Trump administration has brazenly exploited. Read more about the For the People Act here. Investigating Casino Industry Lobbying: We filed a lawsuit this week for records that could shed light on whether casino magnate and Trump campaign megadonor Sheldon Adelson and other outside influences played a role in the sudden and unexplained reversal of a Justice Department opinion on Wire Act prohibitions. Did our government spend big bucks to install Big Buck Hunter? We’re going to find out.